There is a lot of information on the internet about karate including many videos which claim to teach or demonstrate good techniques, katas etc. Most DO NOT teach or demonstrate good techniques (in fact they show poor or even dangerous techniques) but it can be very difficult for students to distinguish what to pay attention to and what to ignore. The old cliches are often true: do not accept things at face value and do not believe everything you see. Always think and judge for yourself. Bearing this in mind, we have chosen a few videos which are worth watching and learning from. We hope to keep adding to the collection but the truth is that excellence is hard to find. This display of Shorinji Kempo gives a visual example of the techniques we have recently been working on in our traditional IPPON KUMITE. Although this display uses greater contact and consequently the need for protective equipment the main thing to observe is the speed and 'rapid-fire' nature of the defence techniques. This is kata at its best! 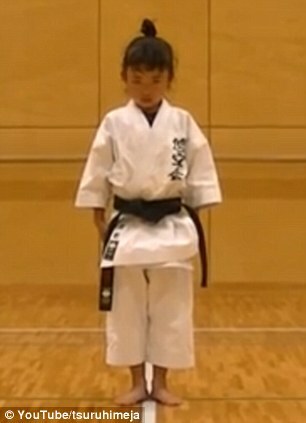 A 7 year old girl performing Kankudai. This is the Shotokan version of Kosokun Dai. Although there are differences in the kata e.g. back stances and side kicks, the similarities are clear. However what you really should look at is the way the kata is performed. Total focus. Mastery of all her movements. Precision. Excellent stances. Speed. Contrast between fast, dynamic movement and slow, controlled movement. It also serves to show what can be achieved through perfect practice. In this case, there will have been hours and hours of it. 2013 WKF 21st World Championship Winners. 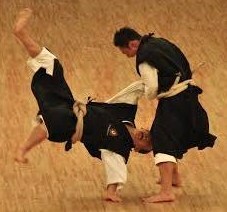 The team perform the kata UNSU (called 'Unshu' in our style) and then the BUNKAI (kata applications). There is so much to learn from this performance. Watch their absolute synchronicity of movement. Speed, power accuracy. Perfect stances and absolute focus. Again, note their total focus and concentration during the bunkai. The bunkai are performed with excellent timing, power and precision and yet they make it look effortless. Even the less 'spectacular' techniques e.g. the front kick, punch to the eye are incredibly good. Again, a superb example of team kata and excellent bunkai. and the video is to prove that it can be done! 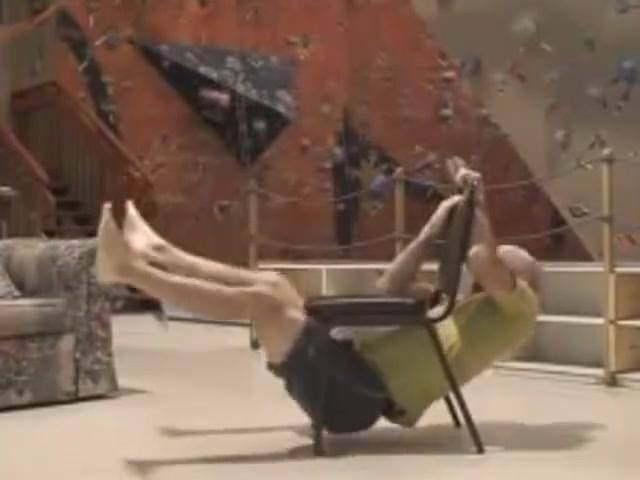 WARNING: do not attempt this chair traverse at home or unsupervised. Do not attempt the traverse on furniture. At the club we perform the traverse around a stable partner. be unstable and result in serious injury. 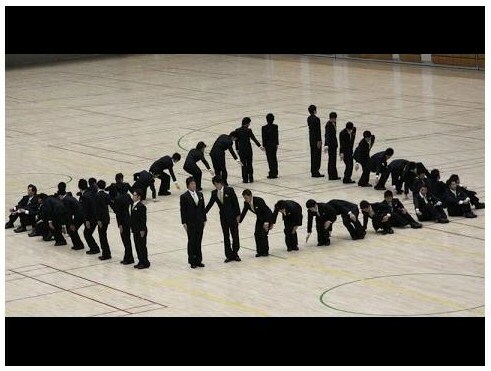 See an incredible display of teamwork by the Nippon Sport Science University. These students are training to become PE teachers and give a visual display of what teamwork (and a lot of practice) can achieve.